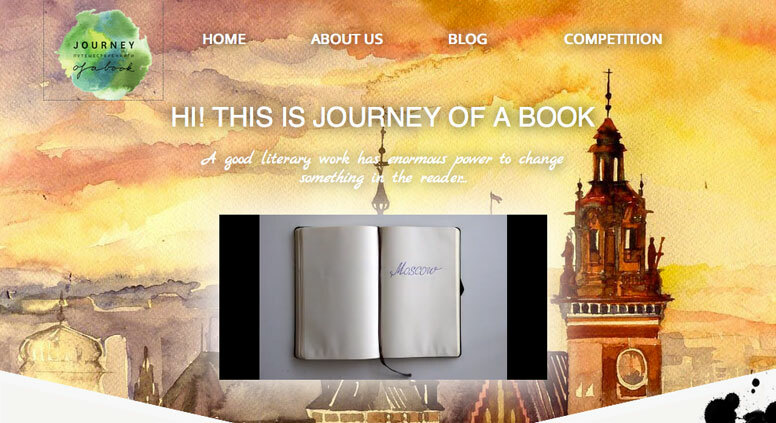 Journey of a Book is a project created by enthusiastic young people from Europe and Russia with the support of Youth Association for a Greater Europe. Its aim is to bring together stories written by talented young writers into one book that will then travel across Russia and Europe to them. Its journey will be documented in a short film. If you are young and willing to share a story about your country, its culture and people, you can enter the contest here. “We want to gather short stories from young people living across Europe and Russia, stories about their perception of the city and culture they live in. We want to contextualize the elements of individual cities that disassemble prejudices, as well as obtain a contemporary vision of the world and the future of today’s young people,” the organizer Konstantin Vanichkin explains. The aim of the project is to help young people from across the continent to learn more about each other, sharing their experiences and overcoming stereotypes about each other. Journey of a Book is inspired by the idea that a good literary work has enormous power to change something in the reader. The organizers of the Journey of a Book project want to make this connection, to inspire people, to create a source of new information and create a base from which different views on other cultures can be shared.